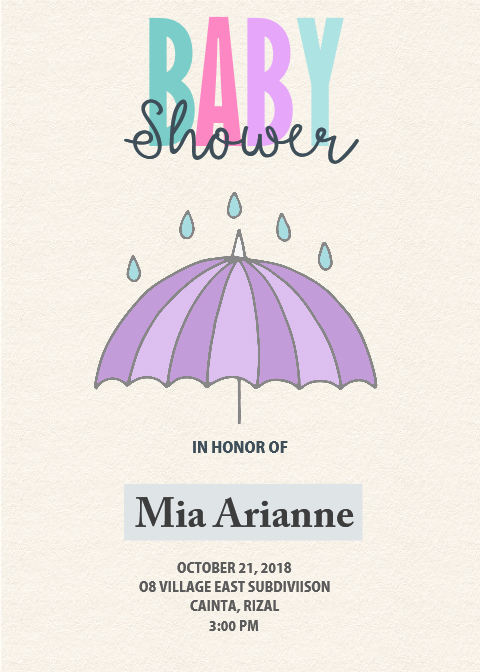 8+3 FREE Printable Baby Shower Invites! Planning to host a party to bless your mom-to-be friend? 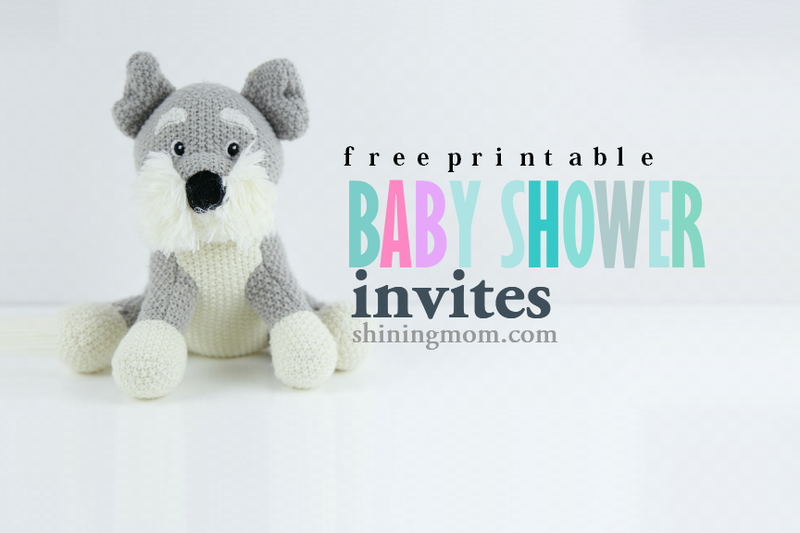 Here are free printable baby shower invites that you can use outright to gather your circle. Yup, it’s time to celebrate the little bundle of joy on the way! Hi, ladies! I think organizing a baby shower for a friend can be one of the sweetest and most thoughtful gesture friends can do for her. Do you agree? Your mommy-to-be friend needs you in her journey to motherhood. She especially needs you in this time of her life and a little rah-rah from her friends like you could mean so much. Do you love organizing shower parties? If you’d ask me, well it’s one of my favorites! I love organizing shower parties for my friends– be it a bridal or a baby shower. These #girlpower milestones need to be celebrated together, right? But let’s admit it, hosting a baby shower is not easy… but it can be fun. You can ask help from your other friends and enjoy brainstorming the party theme, food, activities and decor together. And for the upcoming baby shower you are organizing, count me in. Yup, leave the party invitations on Shining Mom! No need to spend time going to the stores to buy those cards. I have already created some free printable baby shower invites to ease you a bit! Woohoo! You can save and print these cards and use them immediately! Simply write the name of the mom-to-be you are going to honor and the details of the party such as the date, time and venue! I’ve also included editable temples in Microsoft Word to Ease you. Let’s get going! There are 8 free printable baby shower invites for you to choose from in this set plus 3 cute posters. 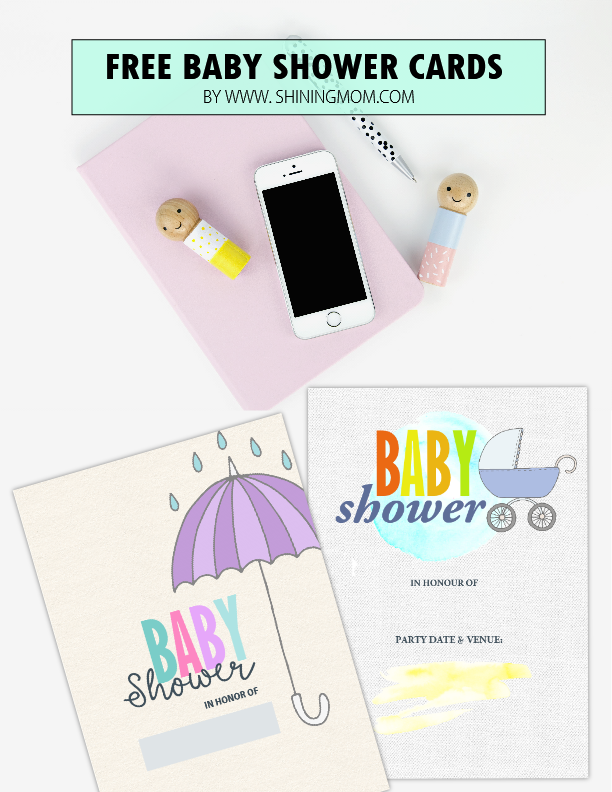 These printables can be used with most baby shower themes as they come in generic and iconic baby shower design elements such a baby romper, umbrella and stroller. And oh, just to let you know, these graphic elements can be purchased at Creative Market should you like to have them in other decors that you’ll be utilizing at the party. You can use the themed posters to decorate the party room. They make great table centerpieces, too. Take a look! Get the PDF files of the baby shower invites here and the posters here. These are the ready-to-print files wherein you are just going to write down the important details of the shower party. Should you like to also get the files in editable Microsoft Word format that allows you to easily type the party details, please find them here. 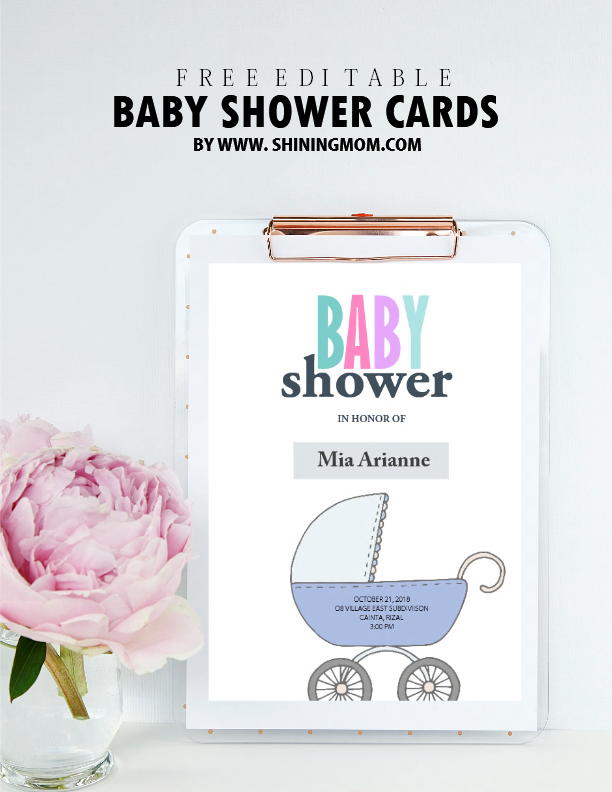 Take your pick from the free printable baby shower invites. To excite you all the more, here’s a closer peek to one of the free printable baby shower invites! It’s so cute! Before you go, you might want to check the other free baby shower invitation cards that I have previously shared here. Moreover, if you’re looking for a gift for your mom-to-be friend, how about getting my popular planner for moms, the “Every Mom’s Planner” for her? This ultimate household binder has over 70 organizers to help moms manage a blissful and abundant home. See the planner for yourself. Lastly, may you help me spread the freebie by pinning any of the images you see here on Pinterest? Thanks! Take the stress out and just have fun pulling off that wonderful baby shower for your friend and her new bundle of joy! « Free Printable September 2017 Calendar: 12 Beautiful Designs!